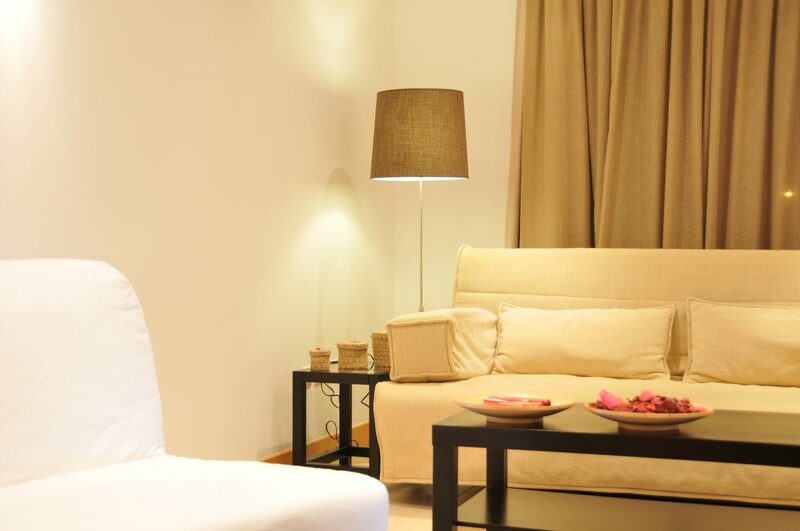 The T1 apartment – House of Mastro consists of Double Bedroom, Living Room and Kitchen, plus toilet, a total of 50 square meters. 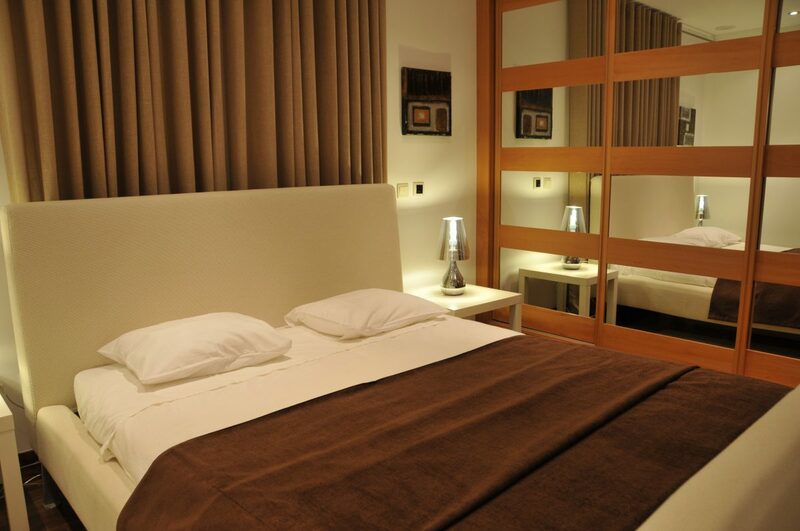 The Double Room consists of double bed and wardrobe. 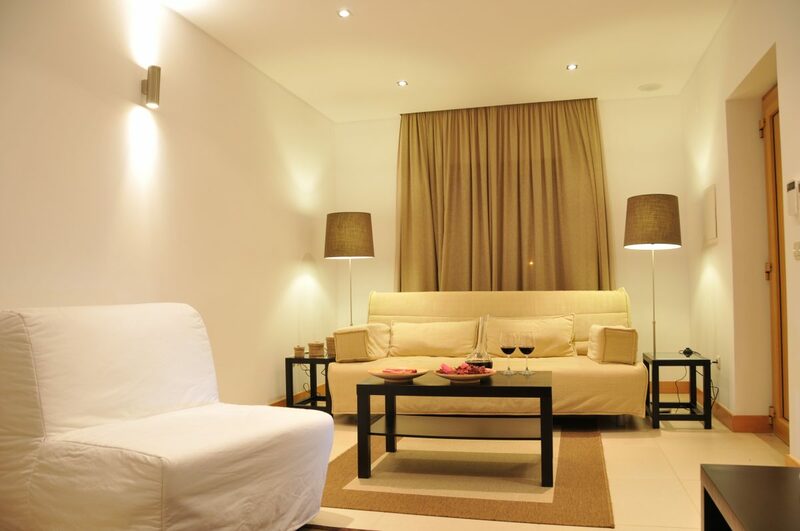 The living room consists of a sofa bed to rest and sleep, coffee table and chairs still resting. 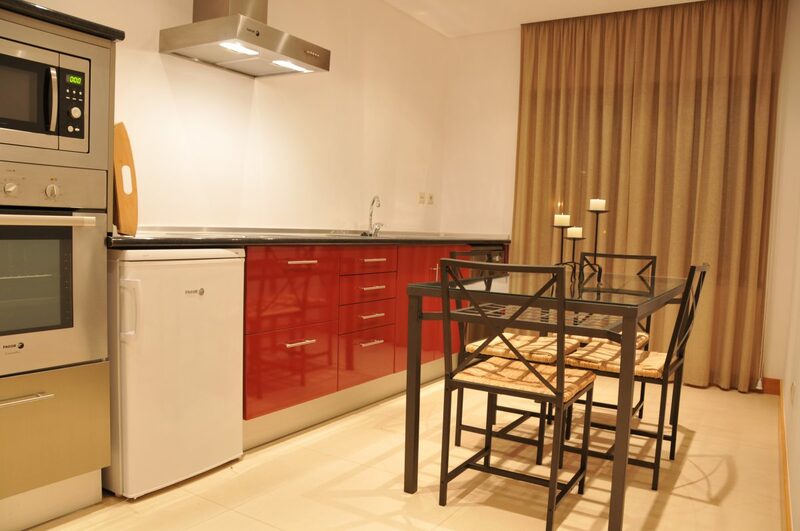 The kitchen is fully equipped with electric hob, electric oven, microwave, fridge, dish-washer machine and kitchen accessories, allowing you to prepare your own meals. Table and chairs for dining. Equipped with minibar (in the fridge), TV with Portuguese and international channels via satellite radio and Air Conditioning. 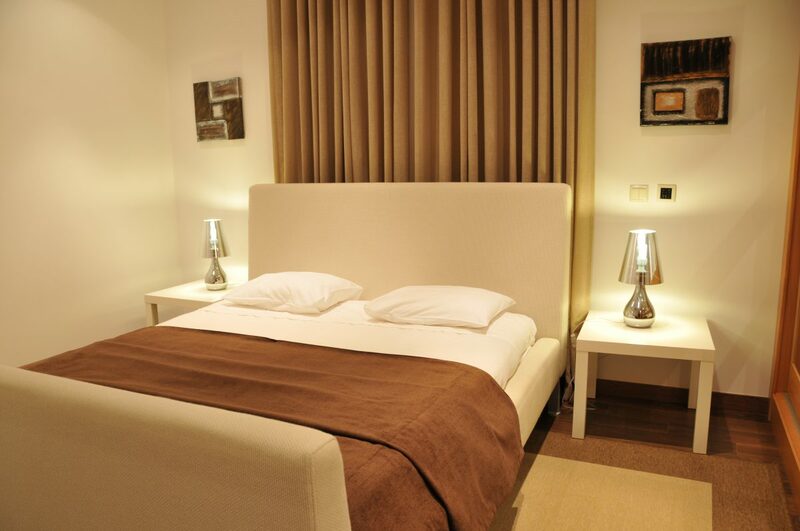 The Apartment T1 – House of Mastro, is also equipped with alarm and fire system. The bathroom is complete with sink, toilet and tub. The soap for hands, shampoo and shower gel are provided. 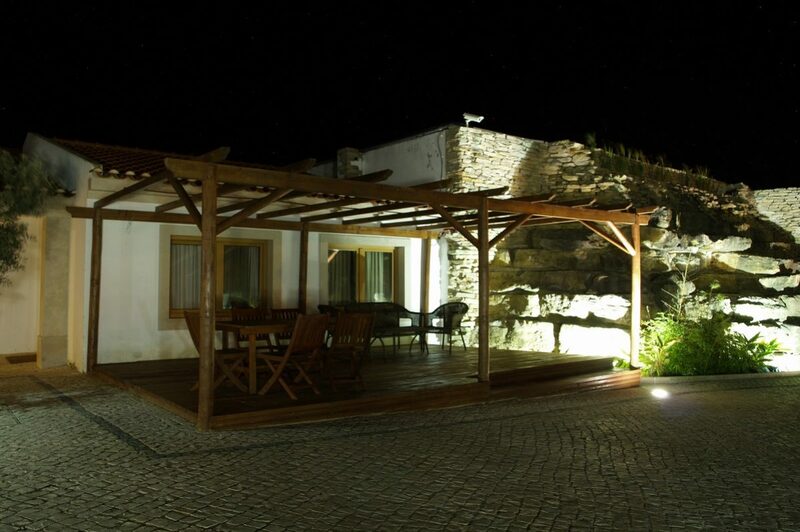 Outside offers a space with table and chairs under a pergola. Ideal for a couple with children or two couples, with the possibility of adding an extra bed or cot for an additional fee. 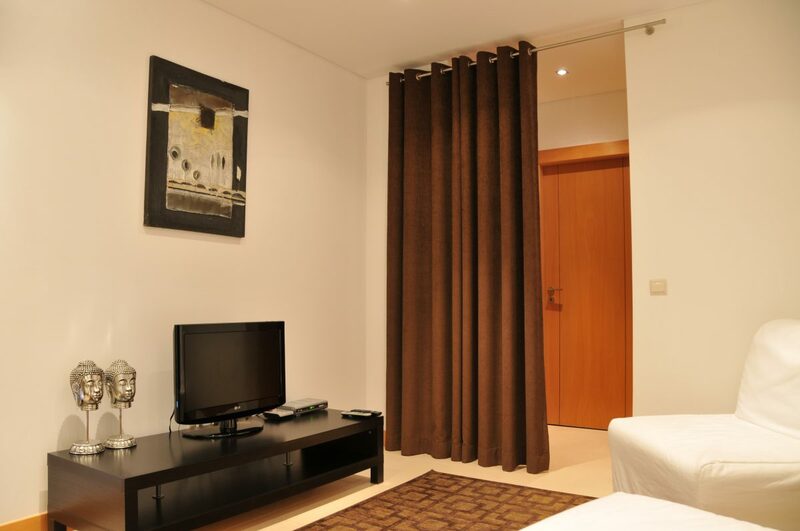 The maximum capacity of the apartment T1 – House Mast is 4 adults + 1 child in extra bed or cot, an additional fee. (To make up to 2 years – Gratis. 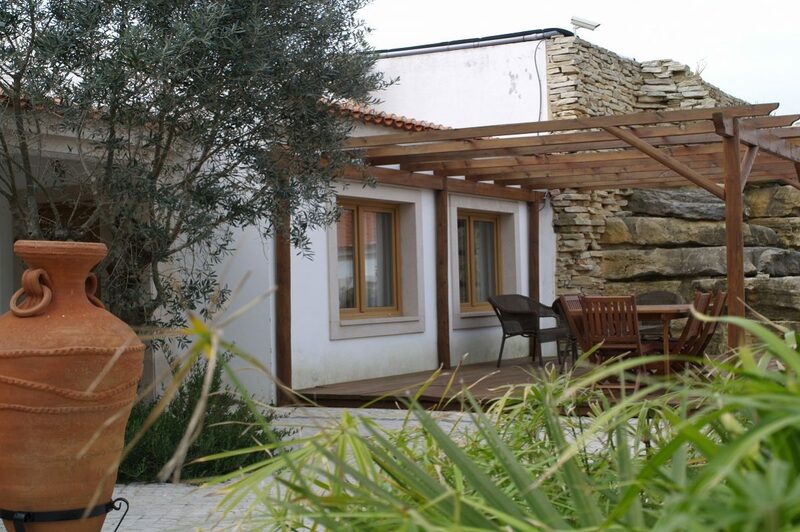 From 2 to 11 years, 15 € / night, 12 years or more, 25 € / night). In the price is included in daily continental breakfast for all occupants. Is still included in the daily rate, the use of the infrastructure of the Fifth Molinu, Indoor Pool, Outdoor Pool, Indoor Swimming Pool Jacuzzi in the area, Soccer Field / Tennis and Gym. The use of a spa and massage room area is subject to pricing. Outdoor parking, or private (subject to pricing) upon request. 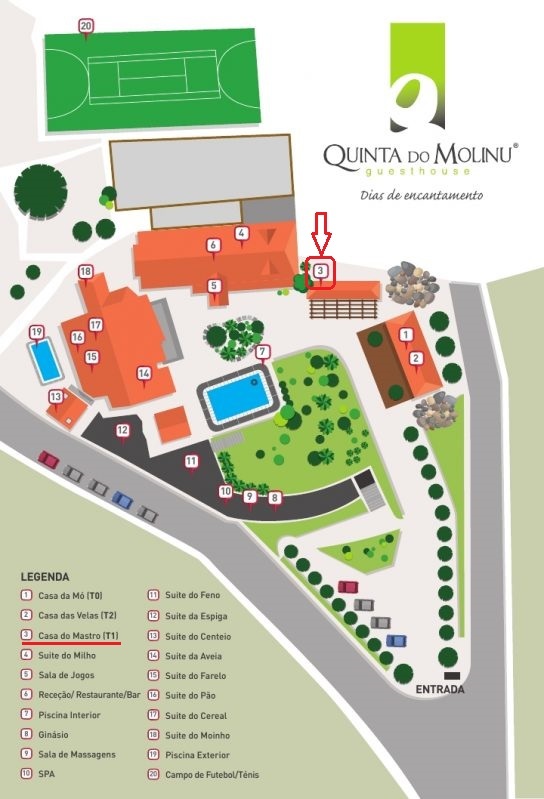 Quinta do Molinu has wireless internet for their customers, free. Cleaning the Apartment T1 – House of Mastro is performed daily. 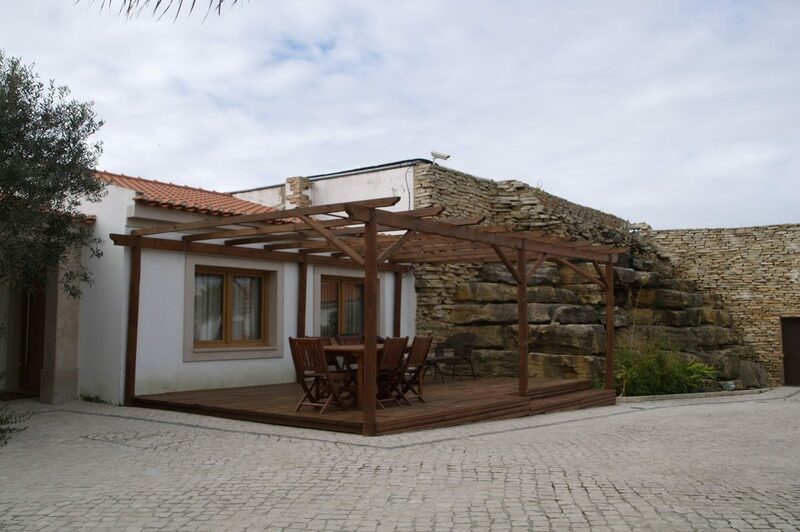 Quinta do Molinu. Days of Plenty.